Anxiety, guilt, low self-esteem, anger, and depression. 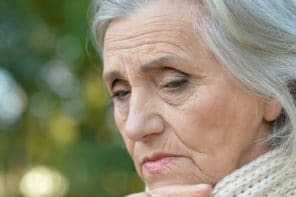 Everyone caring for an older adult deals with at least some of these stressful negative feelings. But how can caregivers cope with stress? And if you’re feeling hopelessly overwhelmed, how do you dig yourself out of that emotional black hole? We found a book that can help. It’s called Feeling Good: The New Mood Therapy, by Dr. David D. Burns. Don’t just take our word for it, it’s also a #1 bestseller on Amazon. Feeling Good gives you coping tools to manage all kinds of negative feelings. Even though the cover says it’s a cure for depression, this book covers a wide range of negative feelings. The coping tools in this book are based on something called cognitive therapy. It’s a fast-acting and proven way to change your mood by noticing your thoughts. Cognitive therapy can help you feel better, minimize future upsets, and cope with negative situations more effectively. We read through hundreds of Amazon reviews to find out what real people were saying about this book. Here’s a quick summary of what we discovered. This book was written by respected clinical psychiatrist Dr. David Burns. He has an impressive background from schools like University of Pennsylvania, Harvard, and Stanford. He’s also received many awards for his research and teaching. Dr. Burns is currently Adjunct Clinical Professor Emeritus of Psychiatry and Behavioral Sciences at the Stanford University School of Medicine, where he’s involved in research and teaching. Based on the many positive reviews, this book is definitely worth a try. Many people said that reading just a few chapters helped them see the world differently, which made them feel better right away. Or, like one reviewer suggested, if you’re looking for less reading and more exercises, try Dr. Burns’ The Feeling Good Handbook. No matter what, either book is inexpensive and gives powerful tools to lift your mood and snap you out of that negative cycle. Wouldn’t it be great to feel a little better, happier, or lighter?